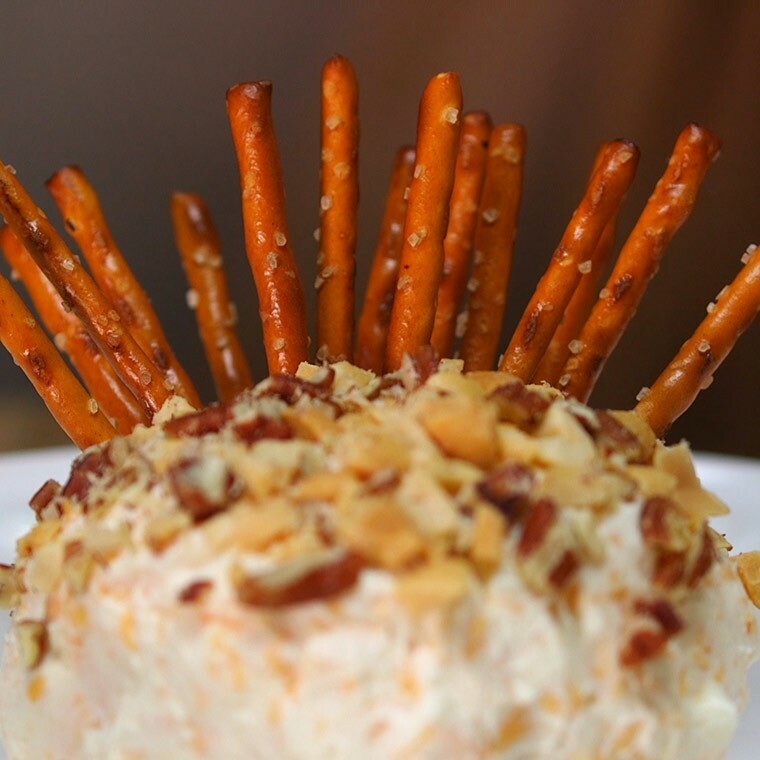 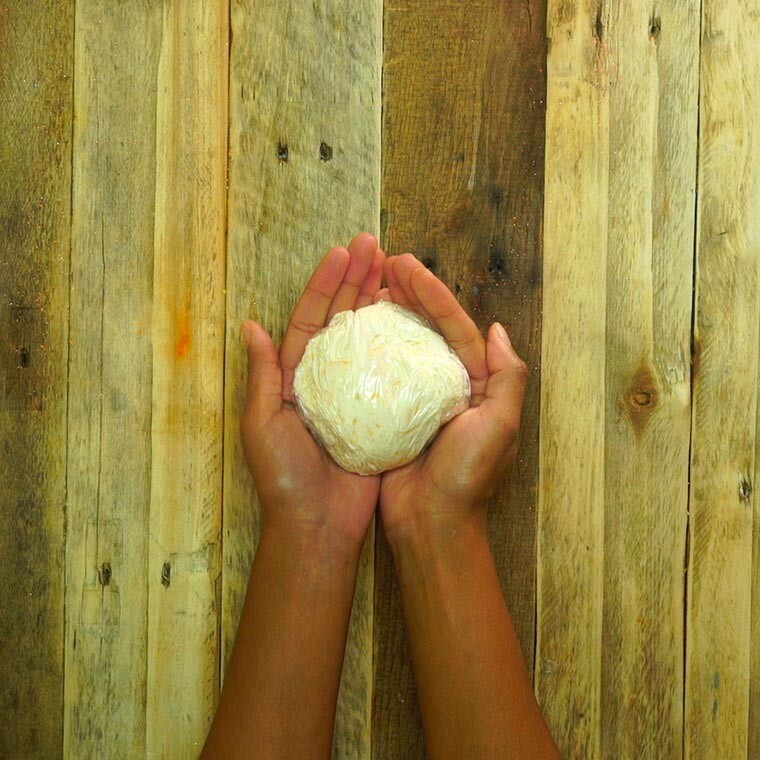 Your Guests Are Going To Gobble Up This Turkey Cheese Ball This Thanksgiving! 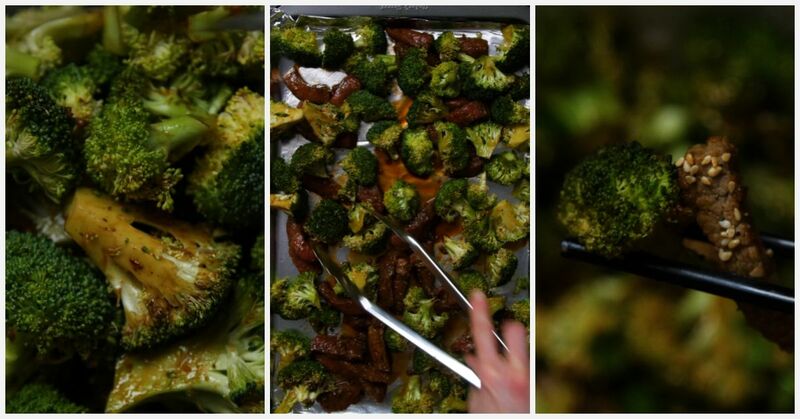 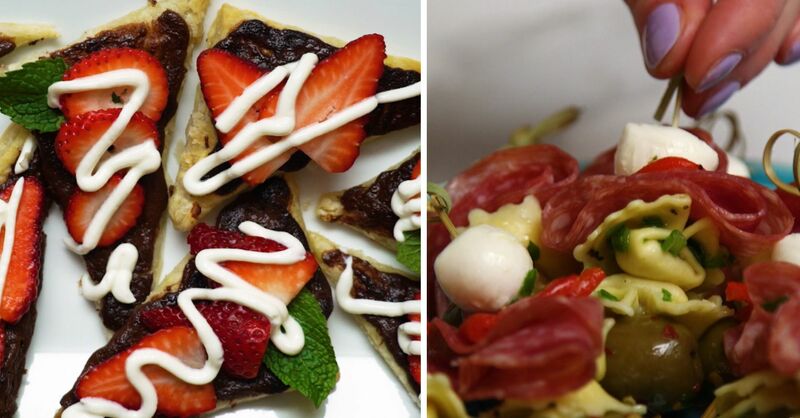 Appetizers can get a little bit boring sometimes. 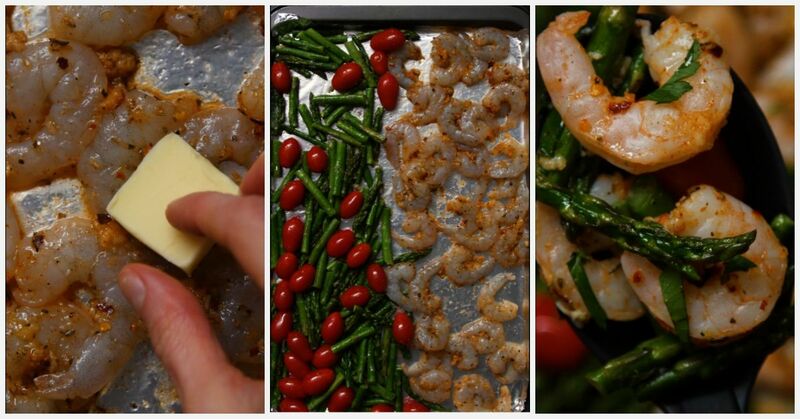 Everyone seems to have veggie platters, shrimp rings and crackers and cheese. 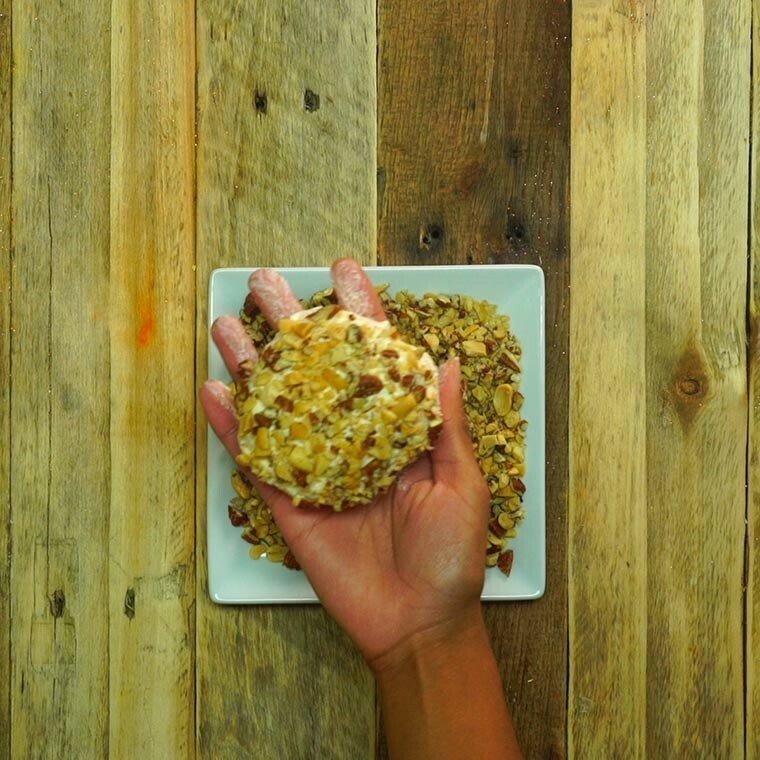 What if you could make your cheese platter something to remember? 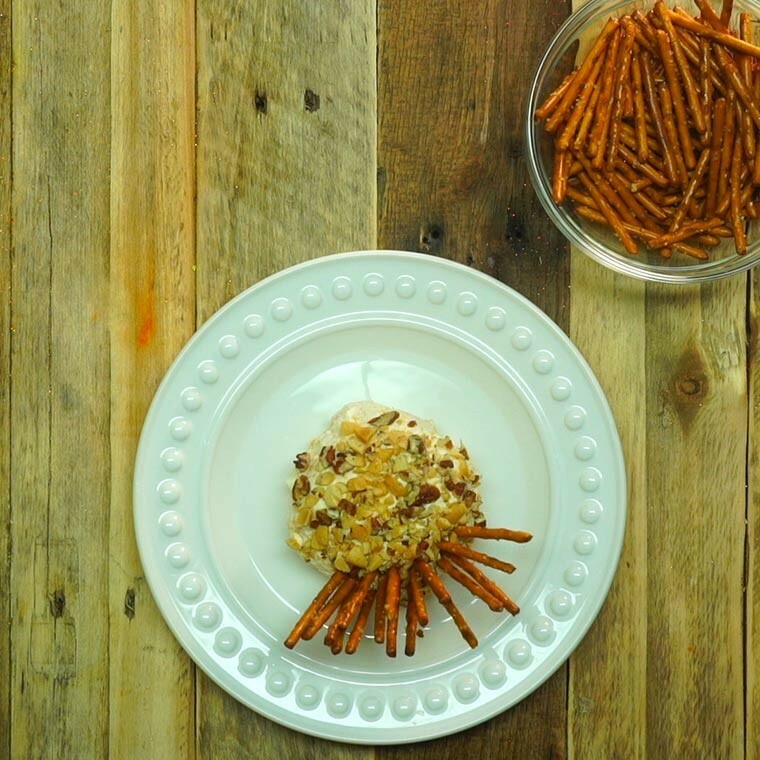 This Turkey Cheese Ball is the best way to brighten up your table of snacks, bringing some fun to the world of appetizers. 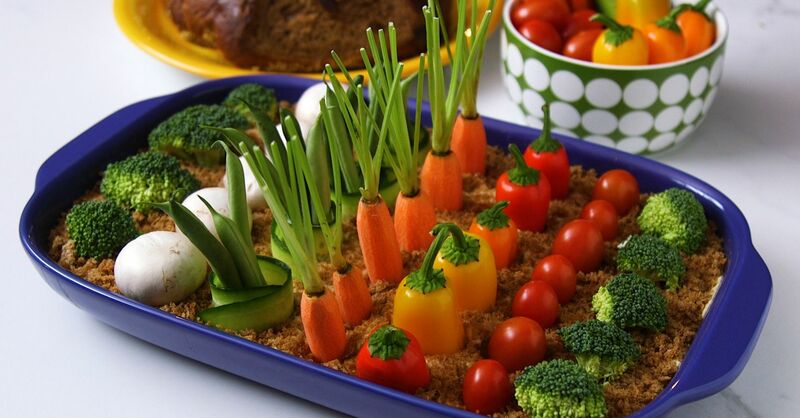 It not only looks adorable, but it tastes great and is ridiculously easy to make! 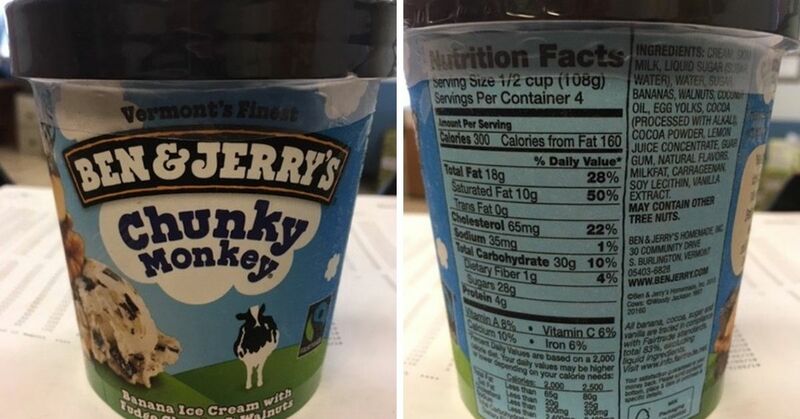 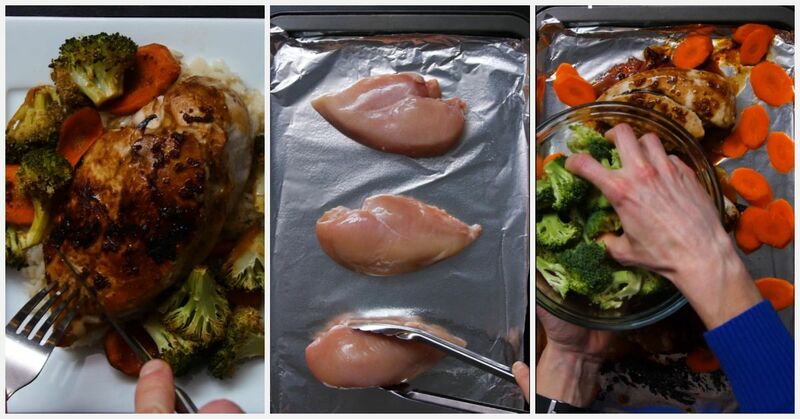 Check out the recipe below. 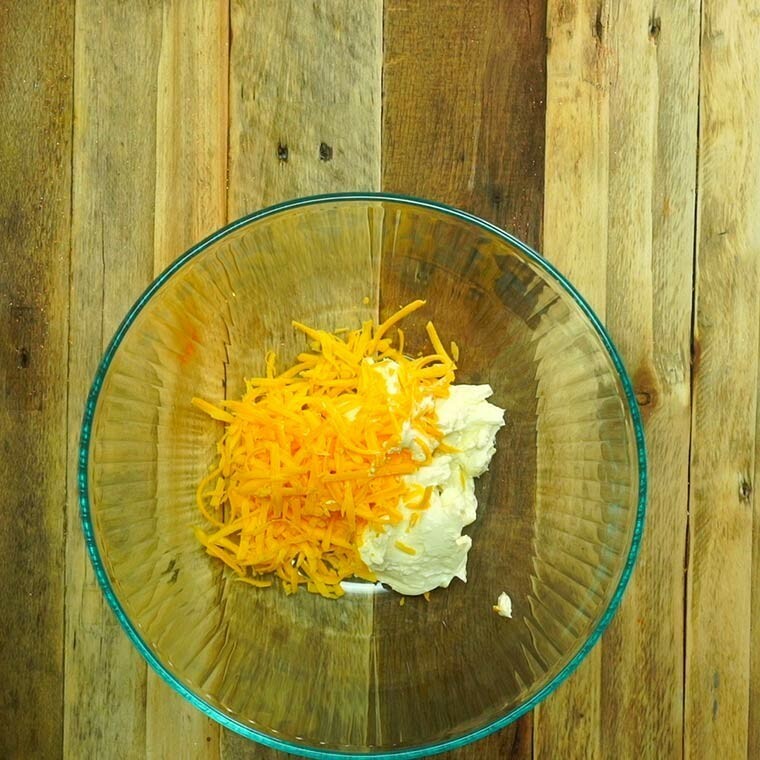 Start by blending your cream cheese and cheddar cheese in a bowl. 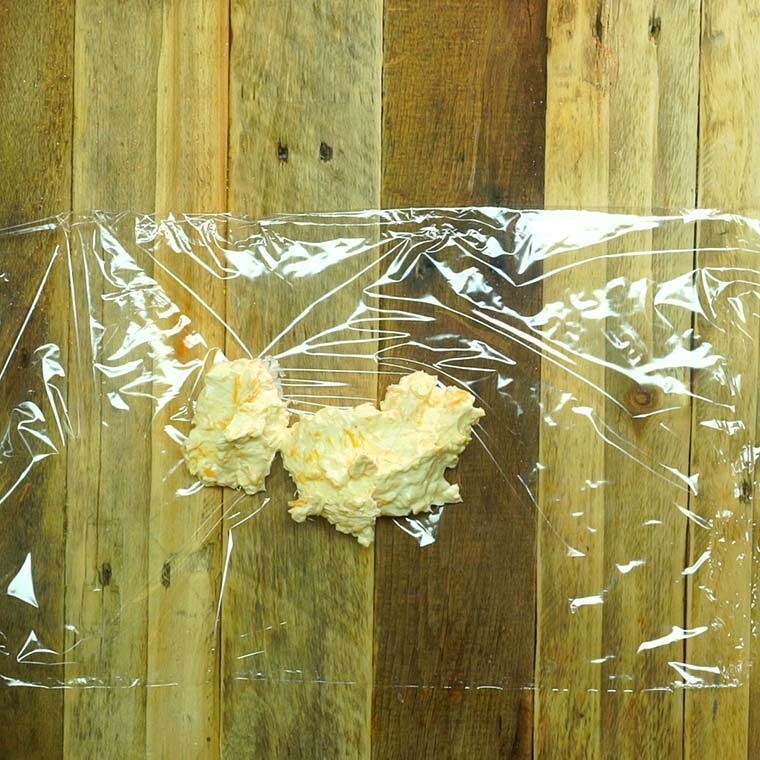 Then scoop the mixed cheese into a piece of plastic wrap and roll it into a ball. 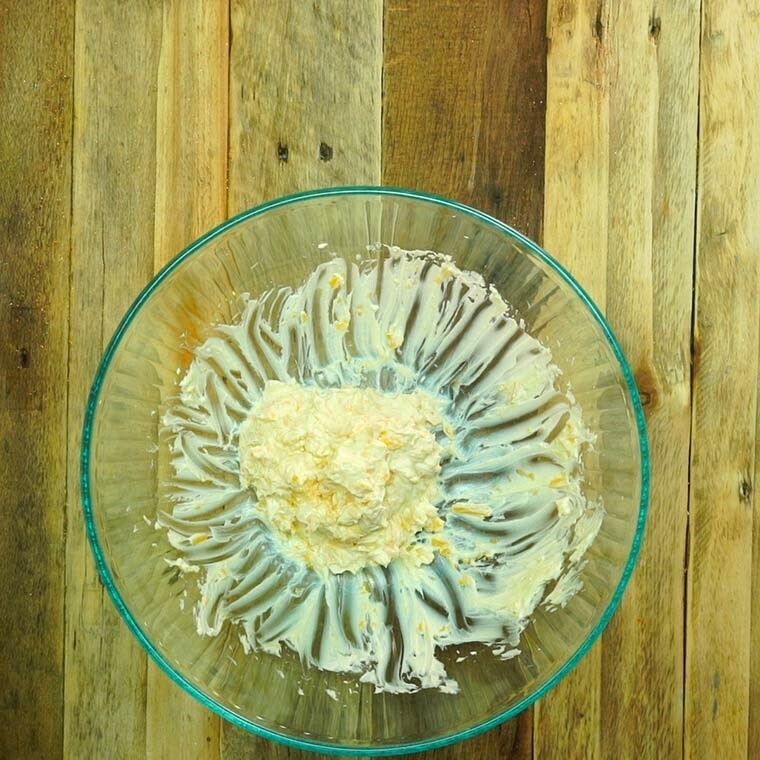 Place your wrapped cheese ball into the fridge for a few hours so the cheese firms up a bit. 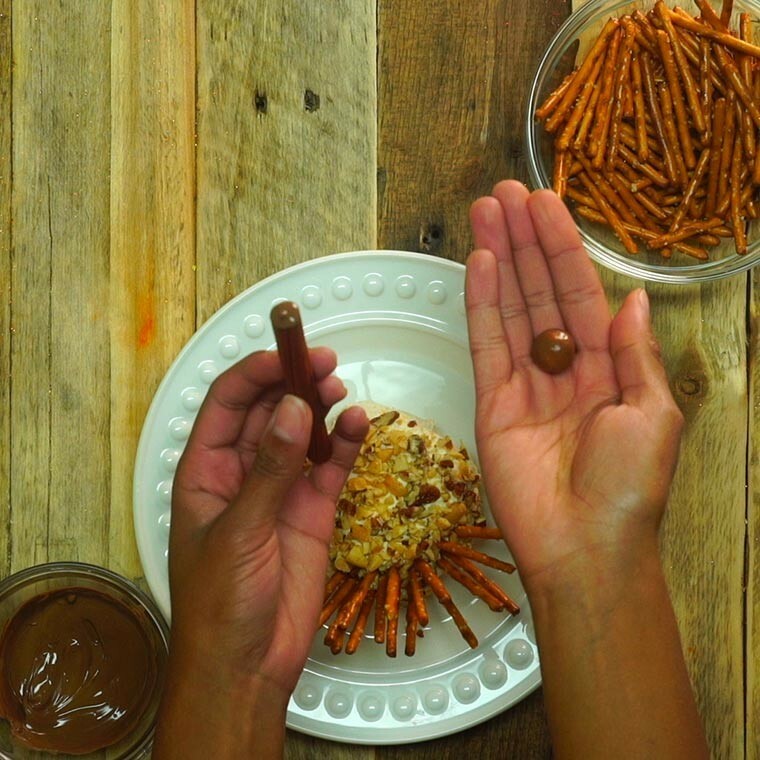 After it is firm, roll your cheese ball into the mixed nuts, careful not to ruin your ball shape. 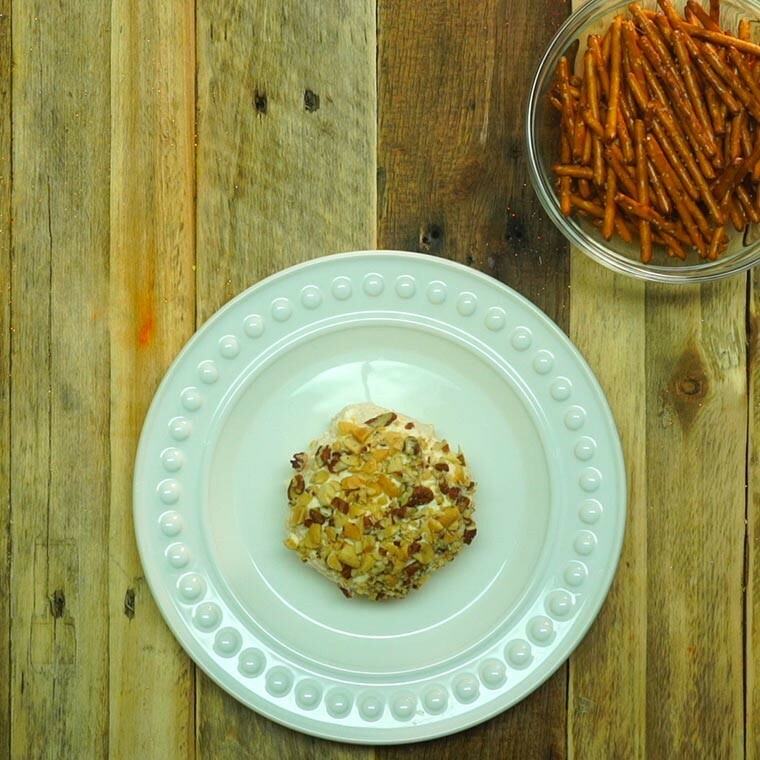 After you have it covered in nuts, freeze the cheese ball to solidify it again. 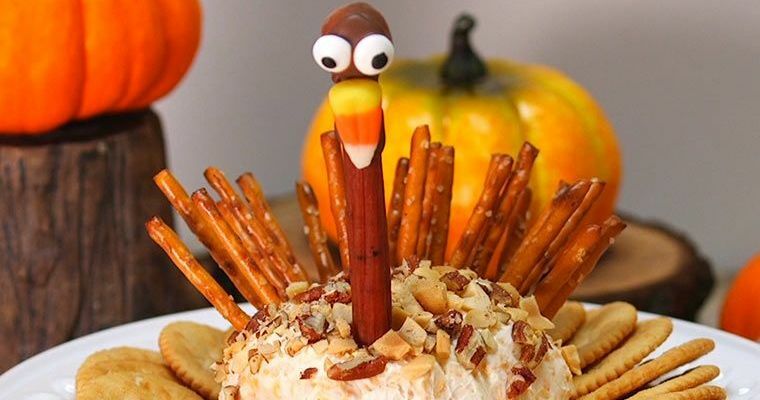 Now it's time to bring your turkey to life! 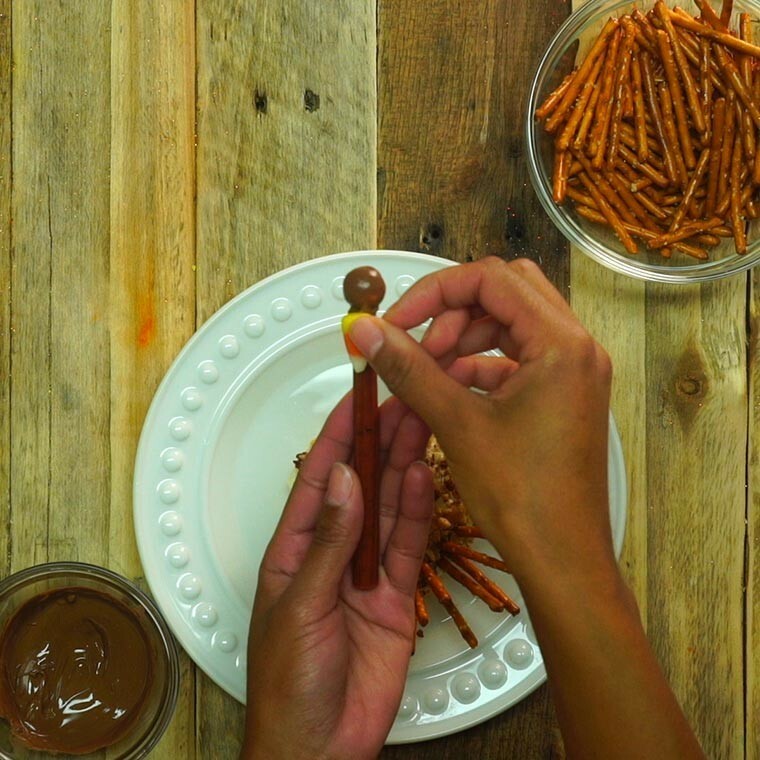 Start adding the pretzels on one end, in a fan pattern. 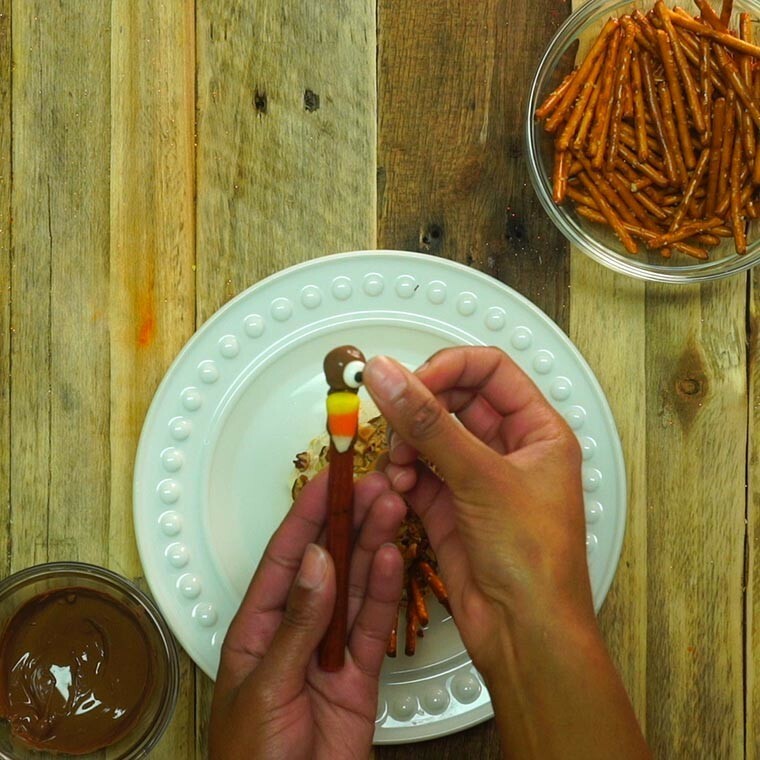 This will act as your Turkey's tail. 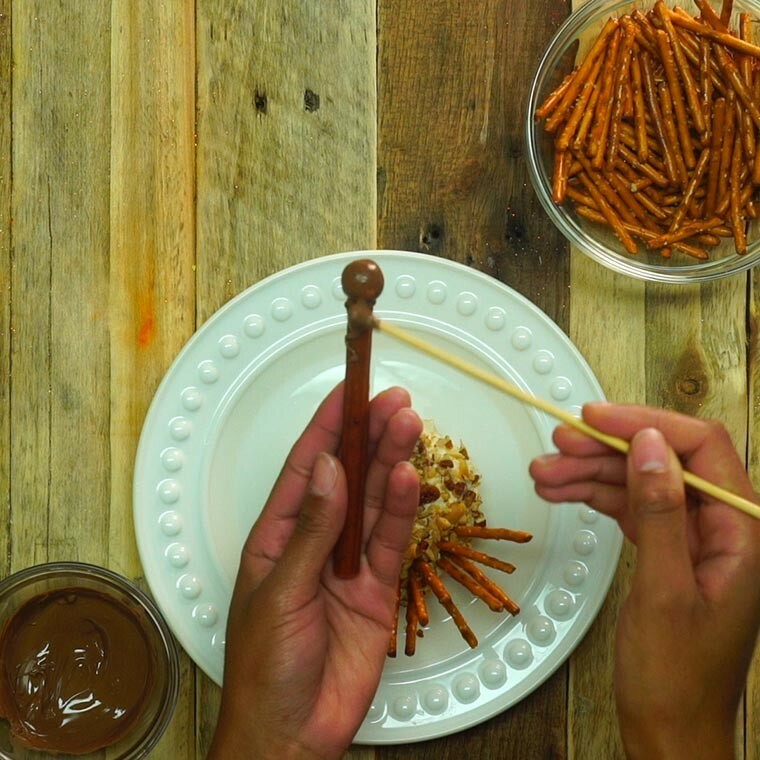 Then, use your melted chocolate on the tip of the Slim Jim to attach the round chocolate candy. Then add some more chocolate to attach your eyes and beak. 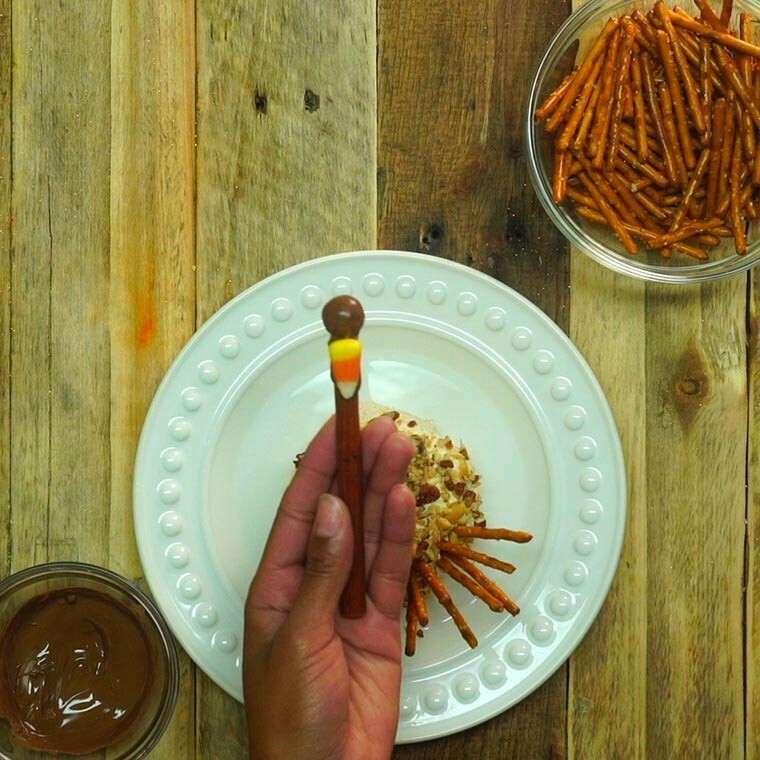 Stick the Slim Jim in the the center of the cheese ball facing away from the pretzel sticks. 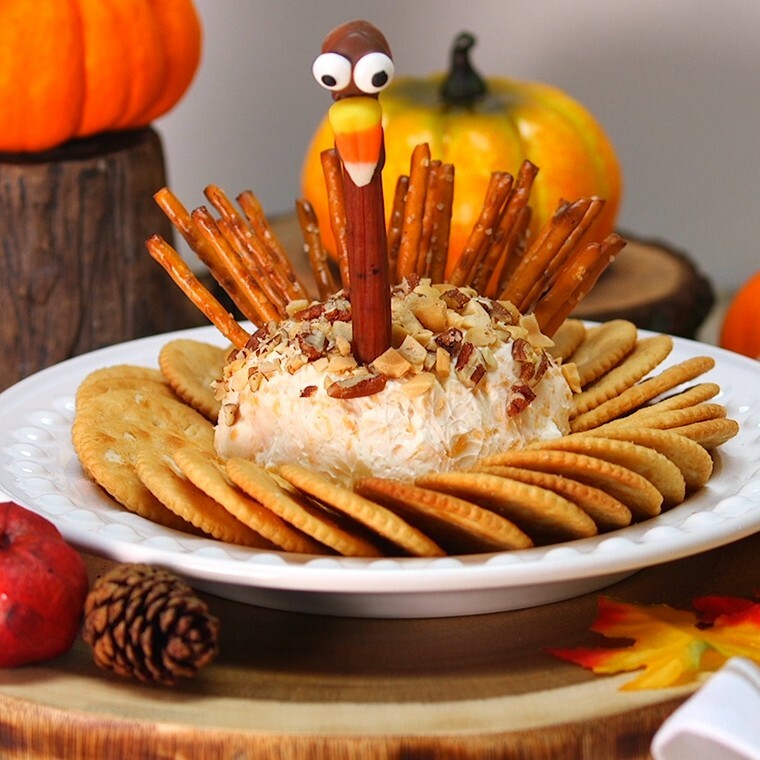 Serve on a dish surrounded by crackers and watch your guests gobble it up!